Manila, Philippines - Sam Shoaf performed Bruno Mars' song "Treasure" during the blind auditions of ABS-CBN's hit singing reality show aired on Saturday, June 14, 2014. Sam is the son of a former singer Arnie Hidalgo. 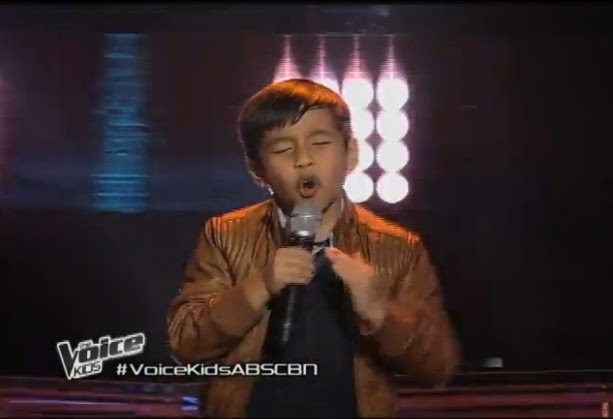 The 9-year-old kid from Paranaque City wowed judges Lea Salonga an Sarah Geronimo. Sam picked Team Sarah.